Happy New Year!! 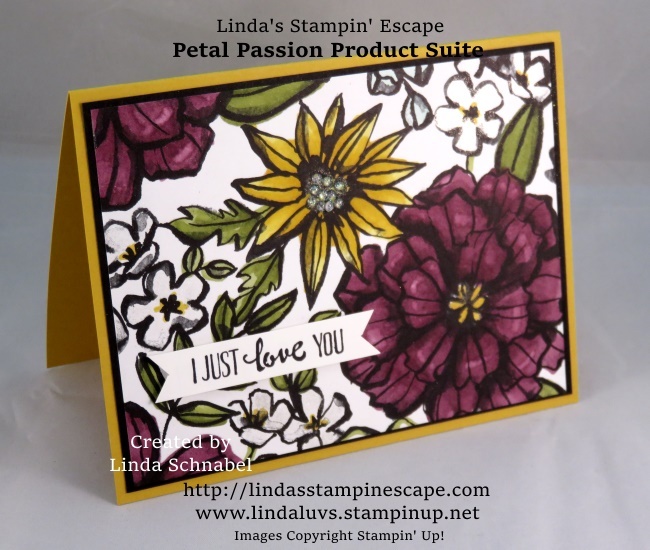 Today I’m back to share another card that features the Petal Passion Designer Series paper … and I’ve grabbed my Stampin’ Blends! The patterns in the Designer paper are so fun to color and what better to start with but the Stampin’ Blends. Stampin’ Blends are really easy to use. I begin with my lighter of the two colors and then I go over the areas I want darker with the darker of the two … then I go back over with the lighter color and blend (soften) any harsh lines that were created when coloring. 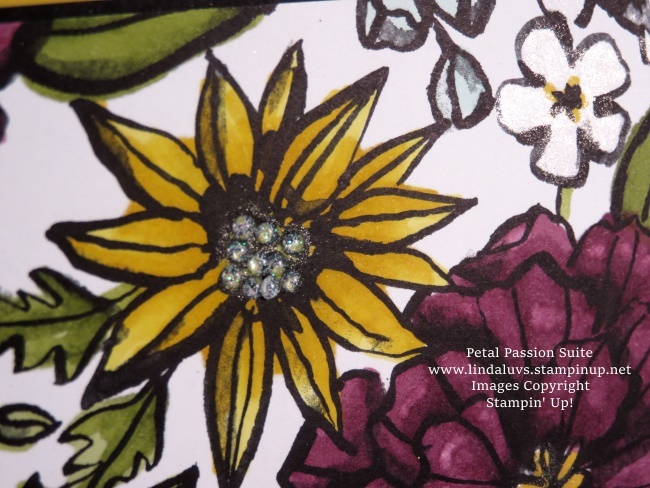 My Stampin’ Blends colors are; Daffodil Delight, Old Olive and Rich Razzleberry with a touch of the Light Pool Party! Plus, I’ve added the Wink of Stella onto a couple small flowers to maintain the white but add some sparkle. 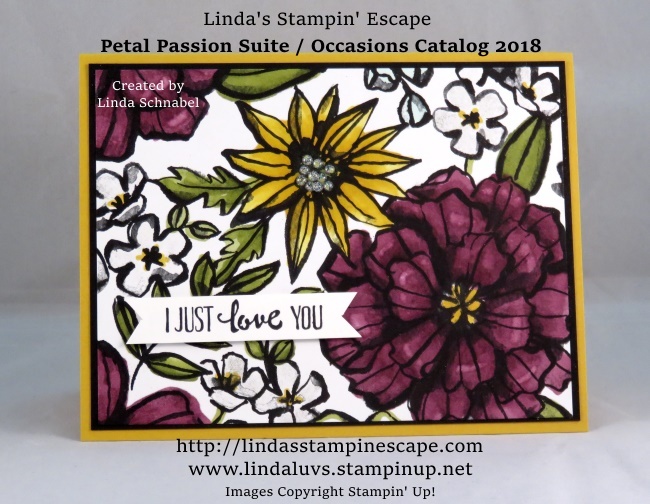 The Stampin’ Blends are fun and easy to use and coloring is a great way to relax and color away the stress. That should check off one of your New Years Resolutions … take care of yourself more often and relax!! Let’s not forget our greeting … it comes from the Petal Pallet which is part of the Petal Pallet bundle. Love the 10% savings when I purchase the bundles!! Thank you for joining me on this New Years Day … that’s how I like starting my new year, with friends!